The new NICE guideline on the diagnosis and treatment of menopause has been summarised for GPs in a helpful two-page guide. 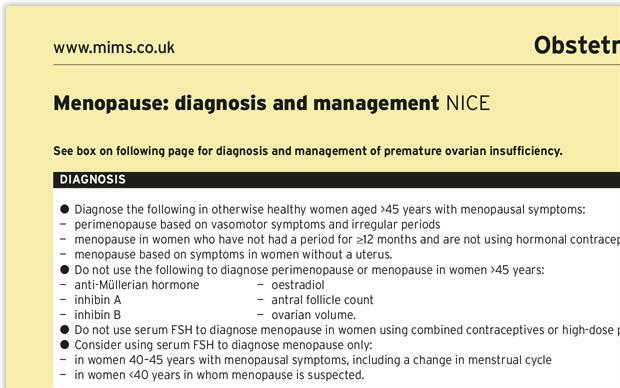 The summary of the NICE menopause guideline will appear in the March issue of MIMS. The first NICE guideline on menopause, published in November, encourages GPs to be more confident offering and prescribing HRT, as it is an effective method of treating symptoms of oestrogen deficiency. The new MIMS summary is available online and will appear in the March print issue of MIMS. HRT prescribing almost halved after the publication of two large US studies in 2002/2003 led to concerns over increased risks of breast cancer and cardiovascular events. However, these studies focused on the use of HRT in chronic disease prevention and potential long-term risks rather than considering the benefits in terms of symptom relief. The association between HRT and cardiovascular disease has since been disputed and the risk shown to vary in accordance with individual factors. GPs should not use FSH testing to diagnose menopause in women aged over 45 years, according to NICE, as levels of the hormone fluctuate considerably during the years leading up to menopause. FSH testing is required to confirm a diagnosis of premature menopause in women under 40 years, however. NICE also advises against testing for anti-Müllerian hormone, inhibin A or B, estradiol, antral follicle count or ovarian volume. If a woman aged over 45 years with menopausal symptoms has not had a period for at least 12 months and is not using hormonal contraception, this is 'adequate information to diagnose menopause', the guideline says. Following diagnosis, GPs should offer women HRT to treat vasomotor symptoms and low mood that arise as a result of the menopause, the guideline advises. NICE highlights the importance of communicating the long-term benefits and risks of HRT. Women should be told that oestrogen-only HRT is associated with little or no increase in breast cancer risk, while HRT with oestrogen and progestogen can be associated with slight increase in incidence of breast cancer, but any risk declines after stopping HRT. NICE advises that there is no increased risk of death among women taking HRT, and no increased risk of heart disease when HRT is started before the age of 60 years. 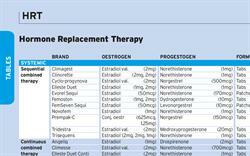 NICE recommends several other drug or non-drug treatment options to address specific symptoms of menopause. CBT is suggested as another option to treat low mood or anxiety. Vaginal oestrogen is recommended for women with urogenital atrophy, and testosterone supplementation can be considered for low libido if HRT alone is not effective. The guidance also covers premature ovarian insufficiency, which should be diagnosed in women under 40 years based on menopausal symptoms including no or infrequent periods (depending on whether the woman has a uterus), and results of two separate blood tests for FSH. 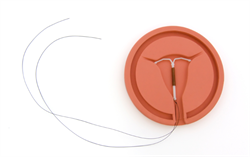 Management options are a choice of HRT or a combined hormonal contraceptive unless this is contraindicated (for example, in women with hormone-sensitive cancer).